Those marching to war need something to believe in. There’s a real possibility they may not come back alive. A leader must cast a strong enough vision that the possible sacrifice will be worth it. We’re not sending people to war. As leaders, we must make the case to our people that the mission, vision, and organization are worth their time and worthy of sacrifice. People want their lives to matter. No one wants to waste or squander their days. They want them to have purpose and meaning. For a soldier going to war under Caesar, the battle cry was, “For the glory of Rome!” However, it was harder to motivate the ones not going to the front lines. How did their lives matter? How was their service making a difference? Your team is no different, especially in Christian radio. Everyone on your team sees the on-air talent as the front lines. In their minds, that’s where all the action is. Therefore, this is where you as a leader must step in, because everyone’s role is important. A young couple heads to a nice restaurant for a special occasion. A small box rests snuggly in the right pocket of the young man’s jacket. His adoring date has no idea that he’s going to propose. The meal was superb. The wait staff was focused on every need. At the end of the meal, the payment was processed quickly and correctly. Best of all, the couple left happily engaged and a life-long memory was made. So, what made the evening a success? All the things mentioned above certainly played an important role, but so did the contributions of others in areas less obvious or expected. The contractors who poured the right amount of asphalt for the parking lot, many years earlier. The guy who correctly painted lines on the asphalt, so people could park in an orderly fashion. The staff that ensured the restaurant was clean, tablecloths were ironed, candles were lit, and the silverware was spotless. The preppers and cooks who were attentive to the smallest details; the food was amazing. Who was on the front lines? Who really created that experience for the couple? Was it the contractor, the team that ordered the building supplies, the guy who showed up on a Saturday to paint the parking spaces, or was it the interior design team that handled all the decor? Perhaps it was the chef and her team or the wait staff. As a leader, you must imagine your organization as a restaurant. Each team member has a role to play and each of those roles builds to create the experience that leads to the success or failure of the organization. Bottom line…EVERYONE IS ON THE FRONT LINES! When you cast your vision in that way, you get buy-in from all team members, no matter their role. A word of caution: You can’t just share this vision once and walk away. You must do it over and over again. People forget. They get envious. For Roman history, Strauss may be right that “It is easier to inspire troops who are marching off to war than those who are sitting on garrison duty.” But for you, start with a vision that includes everyone. Help everyone see that their lives matter and what they’re doing is front line work. Do that…and you’ll be on the path to enduring leadership. 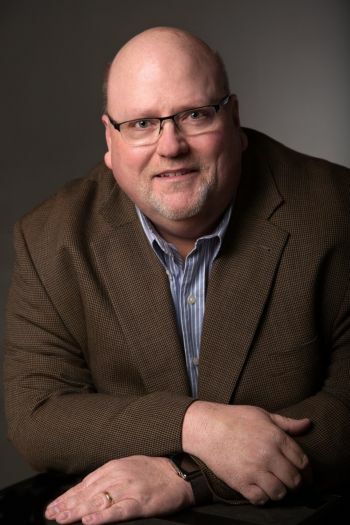 Brian Sanders serves as Executive Vice President of Positive Alternative Radio. He regularly writes and speaks on leadership topics. 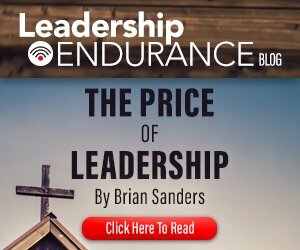 His new book, “Leadership Endurance,” is pending publication and is scheduled to be available early this summer.